In this paper, we examine how the task of creating usable websites can be made more efficient. 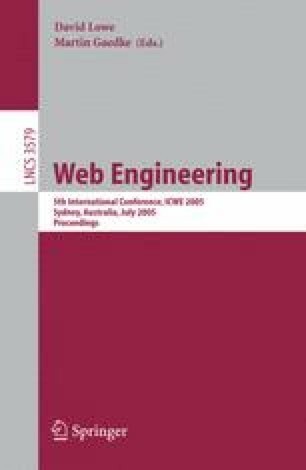 Models and generation of websites have been a central issue for Web Engineering over recent years. However, usability tool integration has not been a primary focus – few usability validators take advantage of models which describe the website. After a look at existing tools, we examine how information stored in models can help to improve validation. Furthermore, we highlight additional properties which, if present in models, would improve validation quality. We present the prototype of a model-based usability validator. Given the presentation model of an existing web page, it verifies a set of guidelines. Web Engineering methods need to take usability into account at many levels. Beyond the extension of models, this requires further semi-automated and manual steps for user testing.